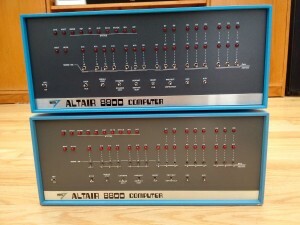 Yesterday I received an Altair Clone that I acquired and I was very excited to get it. I happened to get a couple of other vintage computer items as well and am working on a couple of projects so I am steeped in vintage computers at the moment but this Altair Clone will be part of a project. 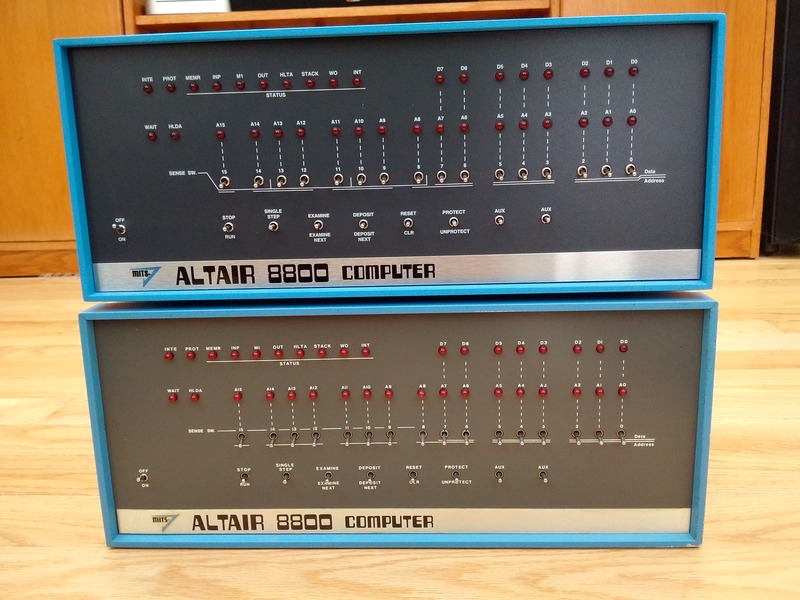 As you can see I have a MITS Altair 8800 already. In fact, I am fortunate enough to have an 8800, 8800a, 8800b and 8800bt in my collection. So why the heck did I buy a clone? 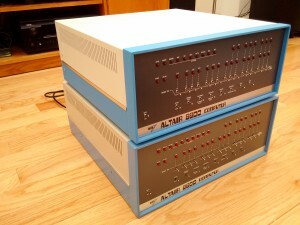 Some of the Altair’s need restoration work and I need a benchmark computer which I know is good and working. I know it will work as designed and when I do something on the real 8800, I can do it on the Clone and make sure I get the same results. I can use it to test the functionality of the 8800 and 8800a. I can probably use this for the 8800b (with front faceplate switches) but definitely not the 8800bt (that have no front switches). while I am restoring them. There are also some expensive and almost unobtainable parts in them and I want to keep them in original pristine condition. The clone is the workhorse vs the show pony. I will definitely learn on this and try out various options. When I first lifted it (at the post office picking it up), I was amazed and at the same time amused. The day before I had worked on my Zeus 80 S-100 computer with integral 12″ monitor and 2 8″ Shugart drives. That was heavy! 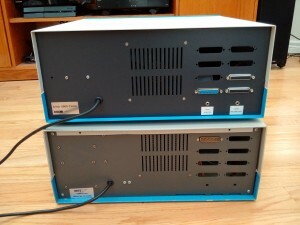 going to pick up a clone as well… I have a Briel 8800micro, it’s neat, but not really getting a vintage vibe from it. Plus no interrupts. :0(. Where a outs in Canada are you? I’m just outside of Toronto. Congrats on the Altair Clone! I’d love to hear a comparison. 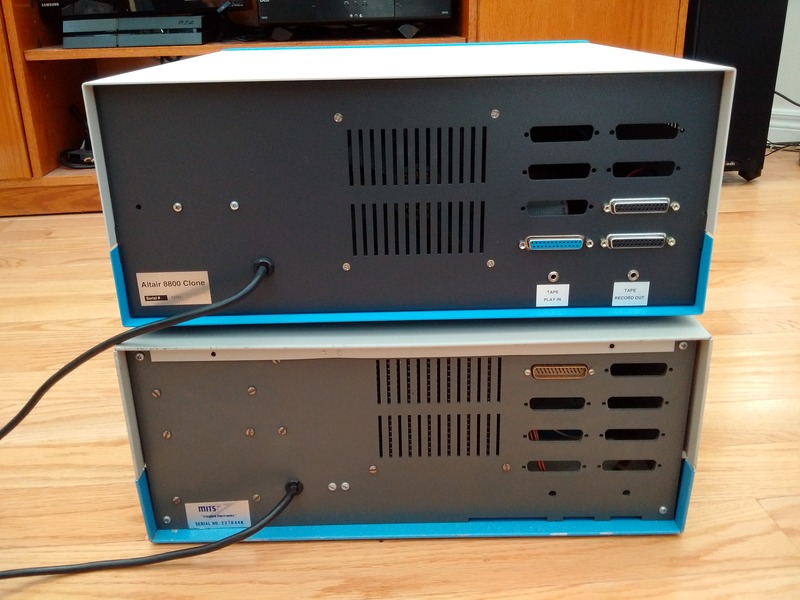 I am assuming they are functionally identical but I don’t know the Briel 8800micro. I’d love to see a comparison.